If you’re still using the same cold calling and in-person ‘take you out to lunch’ business to business marketing strategy, then you’re not playing to your current B2B buyer personas. To increase your products and services market reach, you want to get the attention of buyers that are using technology as the primary mode of communication. These tech-savvy buyers will perform their own product research before reaching out to a provider; they depend heavily on website content, videos, and detailed product or service descriptions. The majority of B2B purchase decisions are now made online. B2B purchases are made up of more and more by millennials. The number of decision makers has increased. The buyer’s role and their relationship with sales reps have been transformed in this digital age. Buyers tend to build relationships with B2B companies that have a strong digital presence and an information-rich marketing strategy. To gain a higher return on your B2B marketing investments and generate more leads, personalize your marketing tactics to focus on fewer market segments. For B2B businesses, you may want to target specific geographical regions, various product applications, or different distribution channels. Where B2Cs may focus on the buyer’s demographics and lifestyle, a B2B market is driven by narrower market segments. You can generate more leads and increase your sales with targeted marketing aimed at specific groups of B2B organizations. Hyper-personalized B2B marketing delivers an experience that is relevant and high-personalized for each market segment. There is a tremendous amount of marketing data that can be extracted through the use of AI-driven technologies. You can use Big Data to source new leads and find specific contact information. Company websites, LinkedIn, and even Twitter releases all possess data that can be leveraged to find your target customers and increase your conversion rates. Build a streamlined buying experience. This is real-time data that can be used as a foundation for lead generation, inbound marketing strategies, and targeted outbound marketing. A large part of B2B marketing is now done through your website presence. But how do you know if your website content is working or not?  Google Analytics gives you vast insight into how your site is performing and which of your online channels are bringing visitors, how many are bouncing away, and how many are clicking through. Understanding the performance of your business website and also who’s visiting your website can be the first steps in defining a clear system for conversion rate optimization (CRO). More people are involved in B2B buying decisions (usually a sales team) and the sales cycle is longer and more complex than a B2C market. Harness the power of Google analytics can keep you focused on higher lead values. Lead nurturing is the process of following up – once you do make a connection with a possible client. In 2019, lead nurturing is less aggressive. The in-your-face strategies that may have worked a decade ago are now the same tactics that drive prospective leads away. You have to earn the business of B2Bs that you do approach, and no one wants to waste their time talking with a supplier that can’t deliver on their promises. For active lead nurturing, throw out the canned sales pitch. Tailor your outbound marketing to match the market segment and if possible the specific business – and what their needs are. Avoid emailing prospects too often, and every lead doesn’t have to receive every email. When you know that business’ pain points, you can personalize your message and nurture the lead until you reach the end of the buyer’s journey. Interacting through technology has become a substitute for many face-to-face sales. It is crucial that businesses redefine what they consider conversational marketing. Of course, once a lead has been generated and nurtured, there will come a time when you may have to close the deal through a series of sales and marketing conversations. Even non-verbal B2B conversations are happening every day on social media and through websites that have intelligent chatbots. Eventually, you’ll need to have a real-time face-to-face, phone calls, or direct emails where the emphasis should be on actively listening to the potential customer and being ready to differentiate your company’s brand from the competition. Assuming you already have a website that is visually engaging, easy to navigate, and full of descriptive information and helpful content, it won’t help much if new clients never find you. New buyers start their research on the web. The foundation of your online marketing should be a strong SEO-optimized website. Pay attention to your landing page to make sure it is search-relevant. Since tablets and other mobile devices are now a part of every business climate, having a website that is mobile-friendly means you build stronger brand recognition and better have better communications with B2B buyers. The increasing trend of smartphone usage in the office can be attributed to people needing fast access to information and services on-the-fly. Mobile marketing through smartphones and tablets means you’ve implemented SMS marketing tactics also. SMS messages give you 160 characters to make a pitch to B2B customers that have opted in or are previous customers. Make sure you include an interactive call to action after you’ve delivered useful information and reminders or a discount offer that the competition can’t beat. 32% of marketers say visual images are the most important form of content for their business. You know this is an area that can be a game changer for lead generation aimed at your target audience. When you keep your video advertising engaging and brief, it can make an emotional connection with buyers as well as leave a more memorable sales pitch. One way to put the power of visual content to work in your B2B marketing strategies is to use visual content to tell your brand’s story or to explain applications and features that differentiate your product line or services. Here you can detail the experience of critical employees and show where and how your B2B products are created. In doing this, you are demonstrating the impact you’re capable of making in the prospect’s success. Inbound marketing has proven successful in attracting new customers and converting those leads into loyal customers. Why? Because it supports the way buyers are making purchase decisions. Your buyers use the internet to discover your services or products and to learn more about how you can solve a challenge they may face. Attract customers with inbound marketing that to their experience with helpful and resourceful content. Generate qualified leads with a content strategy that includes videos and informational content marketing to attract the B2B’s attention. Use email marketing and conversational bots to keep your prospects engaged and cultivate lasting relationships. Messaging apps, bots, and live chat are good ways to generate leads with inbound marketing strategies. Finally, implement conversion tools with forms, project calculators, real-time quotes, and CTAs that capture not only website visitors information but also add a personalized website experience that enhances the buyer’s journey. If your online marketing doesn’t include a social media presence, then a significant driver of B2B sales is missing from your marketing portfolio. B2B markets can be complex and multifaceted. Social media posts are one way to tackle multiple pain points of the buyer on platforms that are becoming more and more a part of mainstream business. Only industry analysts and web search ranked higher than social media when survey respondents were asked to name the marketing channels that impacted a recent purchasing decision. In other words, it’s safe to say that social media is making a direct impact on B2B sales. If you had to choose one social media campaign to focus on, Facebook ranks highest in B2B decision-making with Linkedin not far behind. Every business and salesperson should have a well constructed LinkedIn profile. If your company offers project-level services, posting pictures or video of your team on Instagram or Twitter is one way to inform the prospects and stand out from the competition. Social media statistics speak for themselves. B2B markets are based on information availability in ways that are easy-to-find and easily digested. Webinars have the power to convert interested customers and can motivate a final purchase decision. Since today’s buyers will do their own research before reaching out, this makes the buying process one that is buyer-driven. Webinars are an effective way of showing prospective buyers that your products are the right ones for the job when compared to other companies. Webinars are a pitch opportunity. They provide your company a chance to focus on the client’s pain points and demonstrate distinctly how your solution will benefit them. The key to successful webinars to is to target your aim at one potential market segment or customer need. This allows you to establish warm leads that can be followed to generate qualified leads for conversion. Choosing different marketing strategies for successful B2B conversions is a way to test which combinations work best and bring a higher return on your investments. Need help with your online marketing? Consider consulting with an expert.